In their latest article, Precision Tree Services lists 5 necessary characteristics found only in the most reputable and reliable tree removal services. Property owners that agree to work alongside a tree service that lacks appropriate insurance immediately becomes liable for any problems that might occur. Even though there are many tree services available, the most professional and reliable companies display certain traits and qualities. In their latest article, Precision Tree Services describes 5 specific traits that property owners should look for when searching for a tree removal service. Precision Tree Services offers a wide variety of tree care services and has a high reputation for offering reasonable prices and quality services. For more information, visit their website at http://precisiontreeservicewa.com/about-us/. Precision Tree Services is a family-run business that expands throughout Skagit and the Snohomish County area. They provide a full range of tree services, including tree removal, tree pruning, shrub and bush pruning, hedge trimming, stump grinding, crown reduction, crown raising, tree cabling, and more. 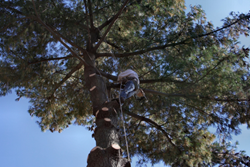 All of our services are conducted by fully-trained tree experts or ISA certified arborists. Contact our office to schedule a tree service.